This historic solid-brick building once housed the Farmers Bank in Downtown Pendroy. 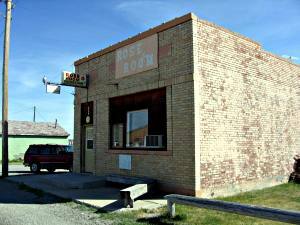 The bank has long since closed, but the building is now home to the Rose Room, well-known as one of the favorite destinations in the area for fine dining. Featuring a full dinner menu and an all-beverage liquor license, the current owners have built this into a very nice business over the past 30-plus years, and are now ready to retire.